Her passion for design and genuine resolve to create beautiful spaces her clients love, has gained her recognition for her design in international design as well as close to home. 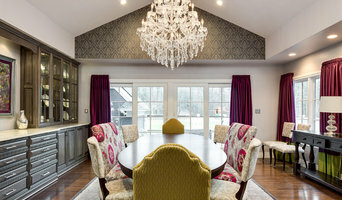 Staci creates, renovate and decorate to best reflect the personalities and lifestyles of her diverse client base – from family-friendly, durable and functional decor to more sophisticated settings suitable for entertaining and an executive lifestyle. From the very early concept stage and throughout construction, Staci is meticulous and process-driven. 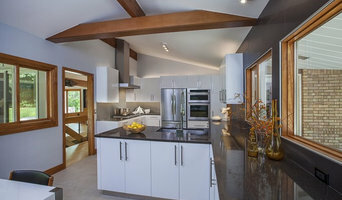 Advocating for her clients while working directly with contractors, architects and builders to oversee and provide direction – keeping everyone on schedule and on budget. 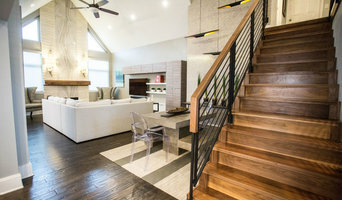 An International Design winner, Staci has been featured in (to name a few) the Better Homes and Gardens, Neocon, Detroit Home, the Detroit News Home Style section, & Ambassador. She has been featured on Premier of Season 10, of Bang for Your Buck Detroit and was award the best off the show. With a focus on creating residential spaces her clients will love, Staci starts early in the concept stage to bring all elements of design and construction together through a strategic planning process that is implemented at the outset. With Staci’s lead, every project (big or small) is carried out with meticulous care and exacting standards. Her philosophy is to make things “foolproof” by arming builders and tradesmen with specifications, schedules, diagrams – going above and beyond to ensure that everything is done correctly. Full scale interior design firm with over 20+ years experience offering creative turn key solutions for residential renovations. Works directly with clients, offering personal services to understand their design & budget needs and exceed their expectations. For more information, visit: <a rel="nofollow" target="_blank" href="http://www.michigandesign.com/consumer/designer/cynthia-evans-interiors-birmingham/34116acc-3a3a-485f-82e9-9bb811fc5c54">http://www.michigandesign.com/consumer/designer/cynthia-evans-interiors-birmingham/34116acc-3a3a-485f-82e9-9bb811fc5c54</a> . Michele Nestor Ethan Allen Inc.
Michele has a degree in Interior Design from Valparaiso University. With 30 years of experience in the design field, she brings passion and enthusiasm to all her projects. She enjoys developing lasting relationships with her clients and helps them create beautiful spaces that reflect their lifestyle and personalities. 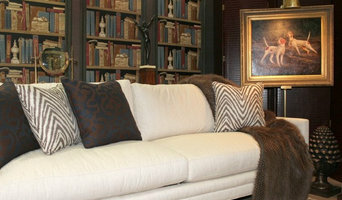 Michele believes that a well designed spaces inspire, comfort and renews those who live in them. In 2011, Mandi Wise took her degree in architecture and diverse experience in the field to create a business that nourishes her passion for design. Ann Arbor, Michigan business owner, artist, designer and community volunteer, she loves a good book, Instagram and Etsy. Color Expert help for your home or business. Color Consulting & Interior Redesign [Color ReDesign] helps residential and commercial clients meet their envisioned result of paint colors for interior and exterior projects. Jill J. Wallace, owner and creator of Color ReDesign, uses her ability to distinguish subtle differences in colors and 10+ years experience of paint and color technical understanding to help clients choose paint colors, determine new flooring, and finalize choices of other new fixed features in a client's space. She brings a professional, unbiased opinion to the project and has the ability to see the project through the client's eyes while explaining how colors may interact with each other. Jill also helps in room redesign and space organization. Jill holds a marketing degree, has over 20 years business experience and continues to educate herself on what is current in the world of color and décor. She joined the Benjamin Moore Expert Exchange panel in 2011. She has received the Best of Houzz Customer Satisfaction Award consecutively from 2013. Working closely with clients allows Jill to help her motto ~Making Color Personal~ become a tangible client result. We're a full service interior design studio offering you furniture, accessories, drapery and window treatments, lighting, flooring options and reupholstery services. From new construction to remodeling, we create homes that are comfortable, pleasant and beautiful. We work with a variety of clients from babyboomers, emptynesters as well as younger couples finally looking for that completed look. Downsizing or building that dream home, we specialize in a lot of handholding through projects from conception to completion with spec-ing product, working with trades, choosing materials and then furnishings...making sure that all comes to a wonderful completion for our clients. Many of our projects are turnkey services, being the clients' voice on the project, freeing up their time to work, keeping in touch via Facetime, email and phone, we are able to bring their dreams to fruition. A great collaborative effort. Terry Ellis offers a winning combination of her extensive experience along with her international travels, making her an outstanding source for any kind of interior design. Her easygoing personality makes the process a pleasure, while her enthusiasm is evident in the end results. Terry has been making a name for herself in the field of design for more than 20 years. She earned her design degree from Wayne State University, is a member of the American Society of Interior Designers (ASID) and she is NCIDQ Board Certified from the National Council for Interior Design Qualification. The multiple award-winning designer has been featured in a number of publications over the years, including StyleLine magazine, Small Rooms Decorating Magazine, The Detroit News, Detroit Home, Homestyle, Detroit Free Press, The Oakland Press and more. Honored to be invited to be part of the exclusive Featured Designer Program at Michigan Design Center for several years in a row. 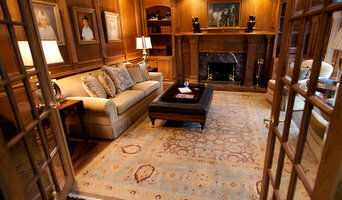 Her work has been featured in showhouses and other high profile events.